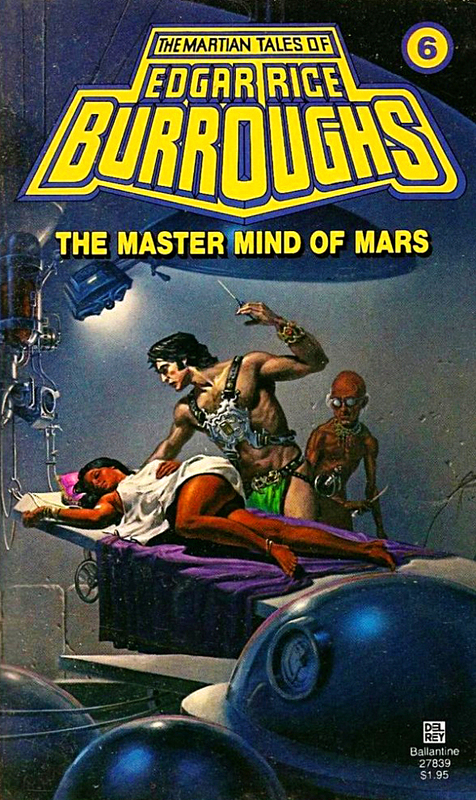 Barsoom – THE BOOKS THAT TIME FORGOT. 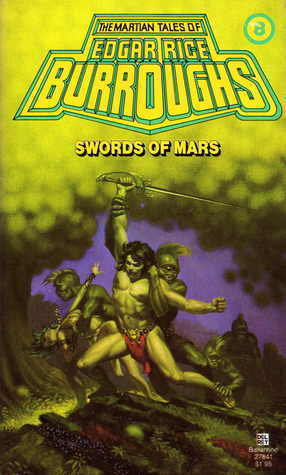 The book is a collection of two short John Carter stories. John Carter must battle Pew Mogel who was a protégé of Ras Thavas. He wants to conquer the world like every typical madman. He has an army of white apes that he transplanted the brains of men into. He also has created a fifty foot giant named Joog. John Carter rallies the forces of Helium and his friend Tars Tarkas to defeat the huge but slow witted Joog. 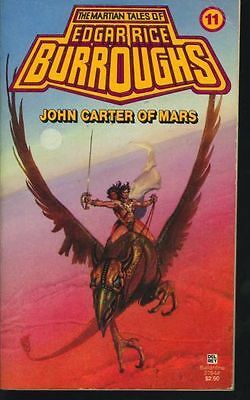 John Carter and Dejah Thoris are kidnapped by the Morgors. The Morgors are a race of men that rule the planet Sasoom(Jupiter). The Morgors have very tight skin which make them look like skeletons. They hope to gain information for there planned conquest of Barsoom. Carter, Dejah and some other captives escape and make it to an island still free of the Morgors. Well the final Martian book is somewhat of a mixed bag. 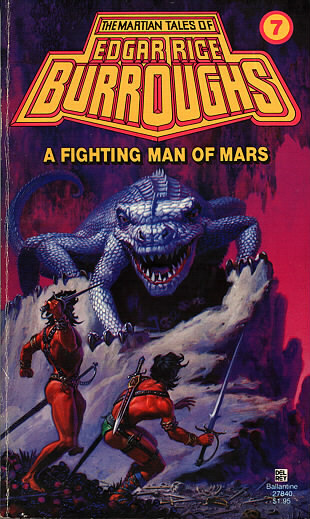 The Giant of Mars is actually written by Burrough’s son Jack Burroughs. It is quite obvious that Burroughs didn’t write this story. The story is also not very good. The Skeleton Men of Jupiter on the other hand is an excellent story. Burroughs creates a whole new exciting world in Jupiter. Unfortunately he died before subsequent stories could be written and the plot is left hanging. My final thoughts on the Martian series. I think they were the best of the worlds that Burroughs created. It really took me to an exciting world when I was a teenager. 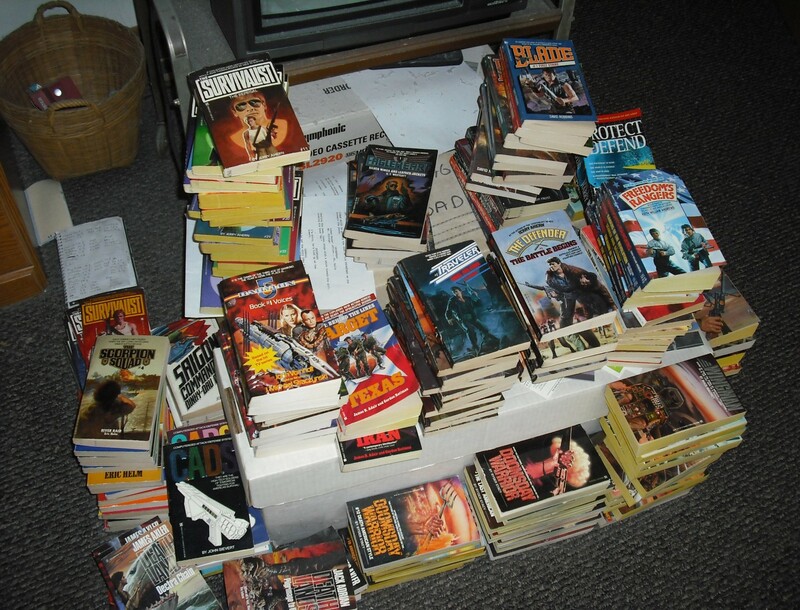 I don’t think there was a single book in the series that I didn’t enjoy. John Carter is restless and decides to explore the lost city of Horz. While flying over in his flyer he sees a man being attacked by green men. He joins the fray on the side of this lone belligerent and defeats the green warriors. He discovers after the fight the man is a blond haired member of the Orovars. The Orovars were thought to be extinct but a lost colony still survives in hiding. The Orovars are thankful for Carter’s intervention but take him prisoner. Their laws require all strangers be put to death to preserve the Orovars secrecy. The man Carter saved Pan Dan Chee agrees to watch over Carter until his appeal and both are locked in the catacombs. There the two find a mad man that embalms people. After defeating him Carter finds his granddaughter Llana one of his victims. 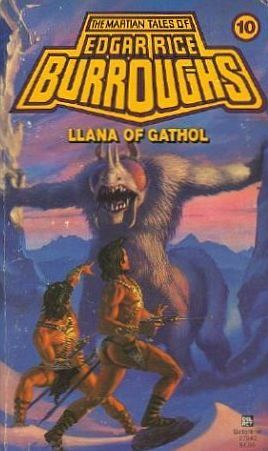 Llana of Gathol had escaped after being kidnapped by Hin Abtol. Hin Abtol was a jeddak in a northern kingdom that conquered the yellow men at the north pole. He is obsessed with conquering the world and has started at Gathol. His armies besiege the kingdom and his agents succeed in capturing Llana who Abtol wants as his wife. Carter and his two companions escape the catacombs and what follows is an epic adventure for the three. They get captured by renegade black pirates. Escape Hin Abtol’s capital and a confrontation with a race that is invisible. The tenth book in the Martian series is another excellent story. Carter is once again the main protagonist. It uses a simple but proven formula. A damsel in distress must be saved from a deranged mad man bent on world conquest. 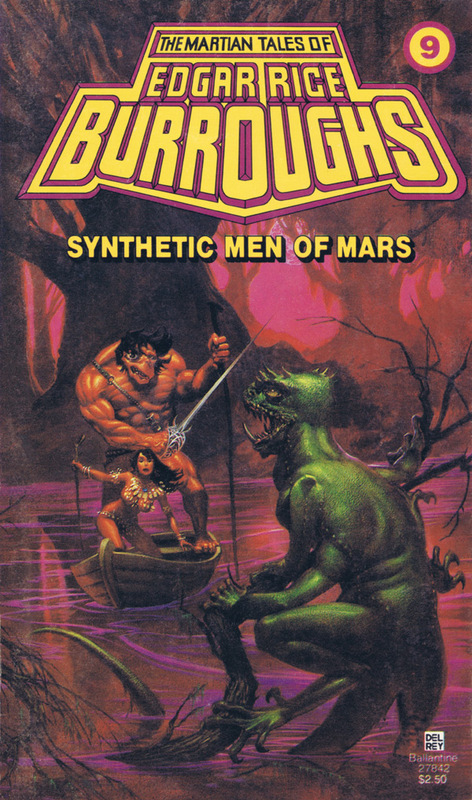 The hero has to fight numerous men and beasts. Travel through exotic and dangerous locales to defeat the evil plan. And of course the hero gets the love of the woman. In this case Pan Dan Chee and LLana. I guess I never get tired of it. Ulysses Paxton is a captain in the American Expeditionary Force in 1918. During an artillery attack on the western front Ulysses body is torn in two. Instead of dying he is mysteriously transported to Mars just like John Carter. He ends up in the compound of Ras Thavas. Ras Thavas is the most brilliant scientist on Mars. He is also completely amoral. He spends a lot of time transplanting brains from humans to animals and vise versa. He has a lucrative side business of transplanting brains from old and damaged bodies into young and health ones. One such victim is Valla Dias. Ulysses becomes Ras Thavas’s assistant and learns his secrets. While in his employ he strikes up a friend ship with Valla Dia. The friendship soon turns to love and Ulysses vows to return her young body back to her. That body now belongs to Xaxa the Jeddara of the powerful city of Phundahl. Now Ulysses must escape from Ras Thavas, infiltrate Phundahl and bring back Xaxa alive to perform the surgery. The sixth book in the Martian series is another exciting book. It has excitement, romance and adventure that you would expect in a Burrough’s story.